If you’ve toyed with the idea of biking to work, now is the time to take off those (hypothetical) training wheels. Today, cities across the US are celebrating Bike to Work Day, an occasion that illuminates the benefits of biking to work. Even one day per week of biking to work can have a significant impact in reducing your carbon footprint. Did you know a 4-mile bike commute keeps 15lbs of pollution out of the air? 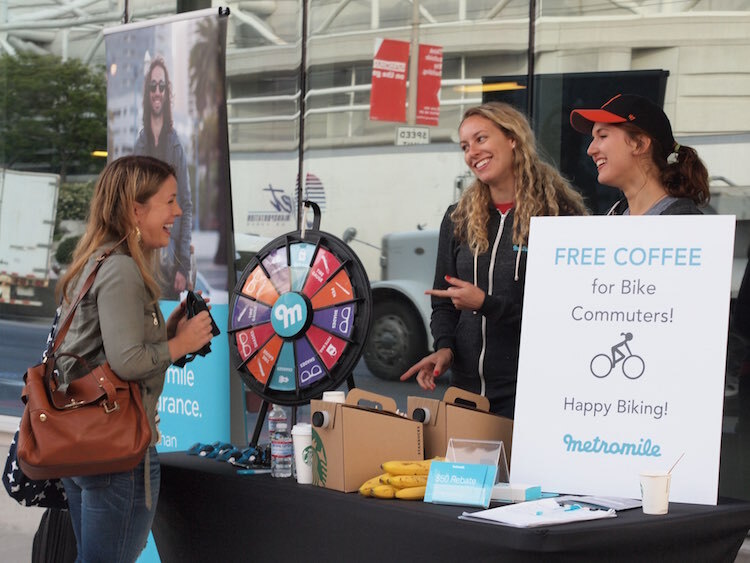 Here at Metromile, we joined in the fun by sprinkling bike seat covers across San Francisco and hosting a refreshment station outside of our office to refuel and reward bikers joining the cause. 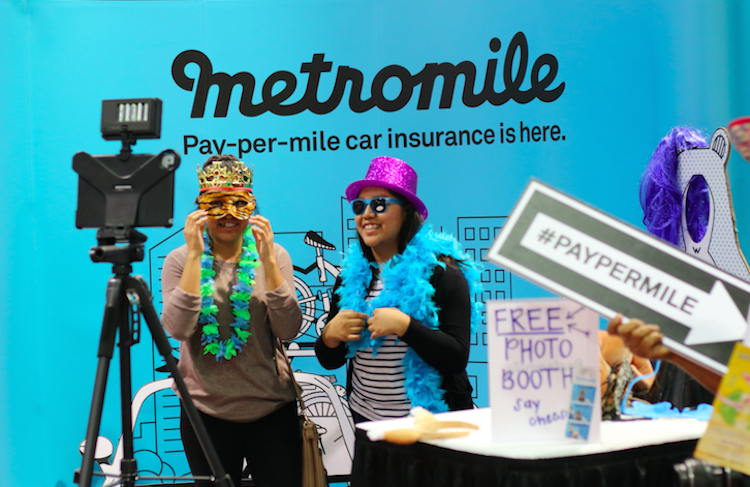 Per usual, our swag wheel was a hit! Although the name might suggest the contrary, Bike to Work Day isn’t just about biking on one single day. The ultimate purpose of the event is to show the community just how easy and sustainable it is to bike to work. Many of the cities participating in Bike to Work Day already have dedicated bike lanes, and chances are your office has some sort of bike parking available. 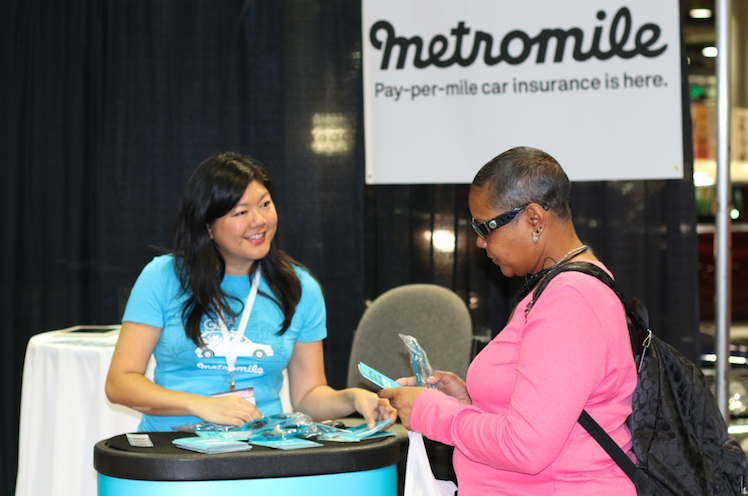 If you are a Metromile per-mile insurance customer, biking to work can also save you money because the less you drive, the more you save. And if you aren’t a customer, now is the time to make the switch!